Wholesale inflation soared to a two-year high of 3.74 per cent in August as pulses and manufactured items showed uptick in prices even as vegetable prices witnessed some moderation. The wholesale price-based inflation, reflecting the annual rate of price rise, in July stood at 3.55 per cent. In August 2015, WPI inflation was (-)5.06 per cent. The earlier high in WPI inflation was recorded at 3.74 per cent in August 2014. Wholesale price index (WPI) inflation in vegetables cooled to 0.17 per cent in August, from a spike of 28.05 per cent in July. Pulses inflation continued to rule high at 34.55 per cent in August, according to the Commerce Ministry data. Potato, a daily consumable vegetable, saw the price rise during the month at 66.72 per cent. 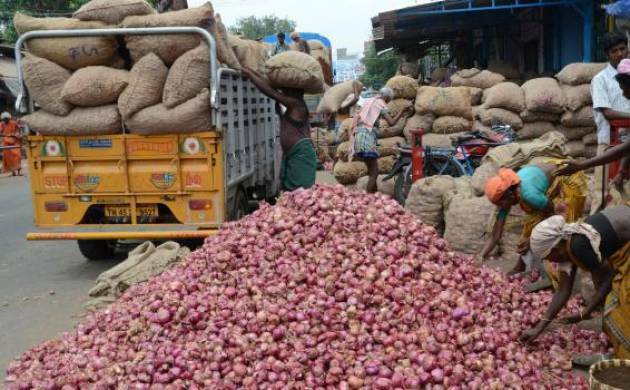 For onion, it was (-)64.19 per cent. The rate of inflation in sugar was at 35.36 per cent and that for fruits rose by 13.91 per cent during the month. Overall, the food inflation basket showed some moderation with inflation at 8.23 per cent in August, against 11.82 per cent in July. WPI inflation, which was in the negative zone from November 2014 to March 2016, has been firming up for the last five months. However, deflationary trend continued in some items like petrol at (-)8.65 per cent and minerals (-)3.44 per cent. The inflation print for manufactured articles read at 2.42 per cent in August, up from 1.82 per cent in July. The WPI inflation for June has been revised upwards at 2.12 per cent, against provisional estimate of 1.62 per cent. An elevated wholesale inflation in August is in contrast to the retail inflation which eased to a five-month low of 5.05 per cent in the month. The cooling of retail inflation and 2.4 per cent contraction of factory output in July has revived hopes for a rate cut by RBI in its next policy meet on October 4 to boost growth. In its monetary policy review last month, the RBI had maintained status quo on key rates citing upside risks to 5 per cent inflation target for March 2017.